Our city is nestled at the base of the Cleveland National Forest offering some of the best hiking and Mountain Bike riding in Southern California. Basically there are 3 ways to access the mountains using a series of fire roads that have been cut through the mountains. The best entrance is Skyline Drive Map located off Foothill near Lincoln avenue. 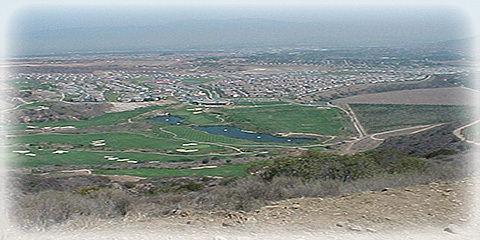 The other two are Indian Truck Trail and Bedford Canyon in South Corona. The trails are steep and make sure you take lots of water. Expect to see plenty of wildlife rabbits, birds, deer, and the occasional snake or Bobcat. The top is full of pine trees and can even be snow covered at certain times of the year. In high fire season the gates may be closed and we suggest you check with the ranger station on 6th street for updated information before any trip. For great maps of trails of our local mountains!